I’m super excited! Christmas is coming and we get to kick off our Holiday Giveaways with a great one! 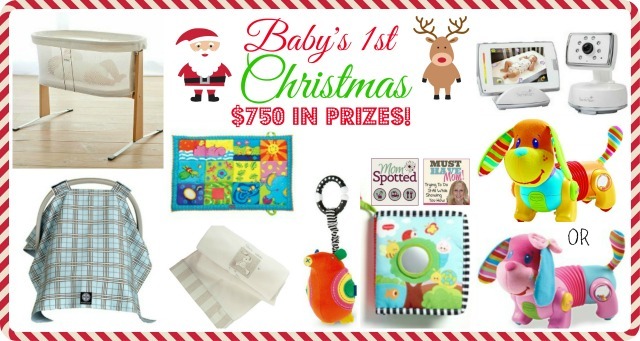 Sarah from Must Have Mom and I have been working hard to make sure you get some great prizes and if you’re pregnant or celebrating baby’s 1st Christmas right now this is one! Here are some of our top picks that our featured in our gift guides that you can win! 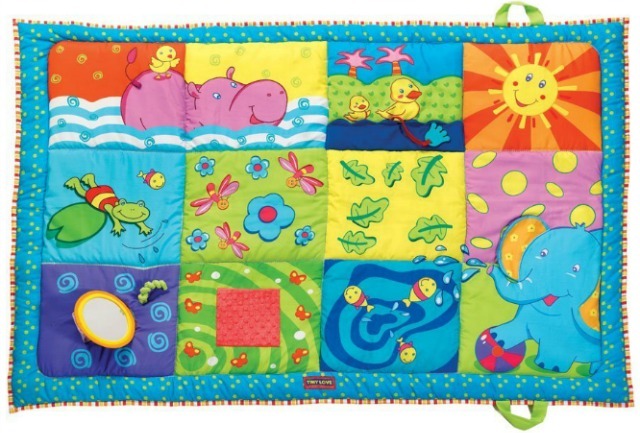 Keep your little one warm and cozy all season long with this super soft cream fleece blanket. 0-1 months Immediately after birth, baby seeks visual stimulation beyond his blurry surroundings. 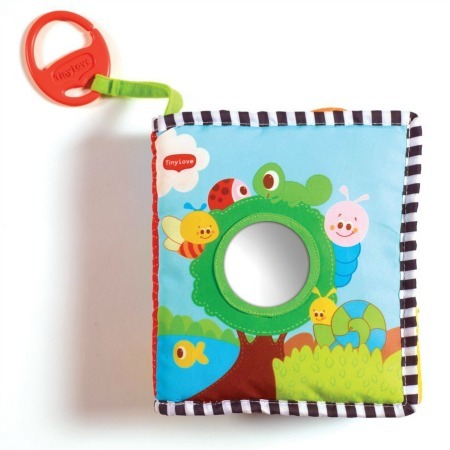 Place the Double-Sided First Book to the side where baby’s head is turned, to offer enriching visual stimulation 2-3 months Baby’s visual field is still limited. When baby lies on his stomach, raising his head to look at the book, he is strengthening his neck and shoulder muscles. Award-winning touch screen baby monitor is the ONLY one of its kind. Featuring an innovative, high resolution 3.5″ color video screen and an easy-to-use touchscreen interface, the Baby Touch® 2 gives parents controls right at their fingertips to conveniently and securely see baby, day or night. The gentle rocking of the BABYBJORN Cradle is a soothing and secure way for your baby to fall asleep. This breathable cradle is perfect in the early months when your newborn alternates short periods of sleep and wakefulness. It is easy to transport around your home so you can always keep your baby close to you. The monitor…can’t live without a camera as a parent! All the prizes are fantastic but I think if I had to choose just one it would be the BabyBjörn Cradle. This would be for my sister as she is currently pregnant AND then when I have my next, she’ll have to give it back. =) We share! My favorite item shown would have to be the Tiny Love Super Mat. There is something so precious about a baby exploring their surroundings and learning in the process. Their smiles make it all worth while! I would actually keep the mat for myself 🙂 I have a 9 week old son who is very curious about the world around him. My favorite product is the BabyBjörn Cradle.Hoping to win this prize package to give to my best friend, who is expecting in January. Thanks for the chance! The summer Infant baby monitor! High-Tech! I would love to win the follow me Fred. I would probably have a hard time giving it away but I would give it to my pregnant friend. Is it bad I want the cradle for myself? I may gift the rest of it, but I really want the Bjorn cradle for my little guy! I like the Baby Touch® 2 Digital Color Video Monitor the best, it would be for my daughter-in-law that just told me today she is expecting. 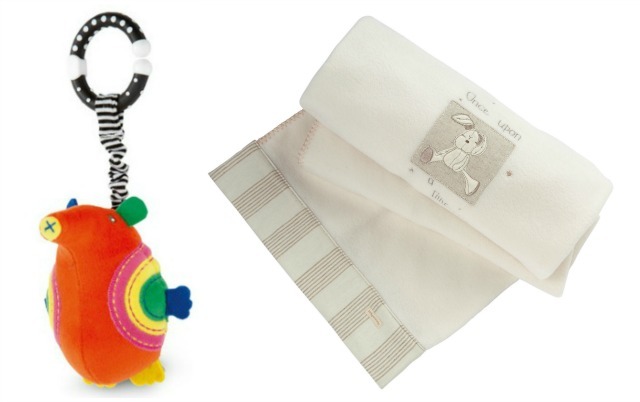 My favorite item shown is Mamas & Papas Blankets & Stroller Toys because I adore anything from that store and the blanket looks so soft and warm! My favorite is the Baby Bjorn cradle. I would give it to my dear friend who is having a baby early next year. I love the monitor and I’m hoping to win it for my cousin! We are going to be trying for our second one soon so all this stuff would be absolutely great! We don’t have any of it anymore actually. 🙂 The monitor would be a dream. We went through so many video monitors that were of horrible quality or had too much white noise on the parents end that we just gave up and did a sound one only. I would love to try this one out to see if it’s as great as the reviews!! I’d love a carseat canopy for my son. We live in a snowy area of the country, so this would be so helpful this winter! Baby Alive Real Surprises Baby Doll from your gift guide. I’ve always wanted a silicone necklace for my babe’s when they are teething. The Bumkins Ellisse Silicone Necklace from Must Have Mom looks awesome!! The Baby Touch® 2 Digital Color Video Monitor, I would give it to my friend. Most exited about the baby monitor and it would be for my baby since its her first Christmas! So exited for her! I love the monitor and cradle! I love the Fisher-Price Laugh & Learn Learning Workbench from your gift guide! I love the Laugh & Learn line of toys and I have my eye on the workbench for my nephew. Follow Me Fiona for my girls! Baby Touch® 2 Digital Color Video MonitorBaby Touch® 2 Digital Color Video Monitor. Would come in handy for keeping an on my lil one. The Follow Me Fiona would be perfect for my baby’s first Christmas. My favorite product is the Baby Touch® 2 Digital Color Video Monitor. It would give it to my best friend. The color digital video monitor for myself because our other one broke and we really need a new one. Our son gets into too much trouble and we need to keep an eye on him when he is “sleeping” lol! Everything is so awesome! I love the cradle. It is so sleek. 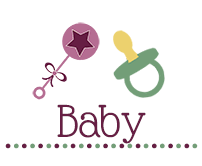 I have two cousins that are having babies and they would love these items for their babies. So if I won, I would probably split the stuff up and give some to each. I love the cradle. My son was born 9 days ago so this is his first Christmas & I truly would love & use all the items for him! Folllow me Fred will go to my new grandson. I like the BABYBJÖRN Cradle and I want to give it to my sister. That BabyBjörn Cradle is beautiful! My new baby girl will get this if I win!! Due in 3 weeks! My favorite product is the Baby Touch 2 Digital Color Video Monitor and I would gift it to my youngest grands mom & dad. The BabyBjorn cradle is my favorite item, and I would gift it to my friend who is due in February. Thank you so much! My favorite shown is the BabyBjörn Cradle, I would gift this to the five month old infant I care for. My favorite shown NOT included in the giveaway is the Shark Rocket Ultra-Light Upright. Favorite shown NOT included in the giveaway #2; ASPCA Holiday Dog Beds. The Bjorn cradle for a friend who just had her baby. Baby Touch® 2 Digital Color Video Monitor is my favorite item shown and I would use it in my daughters nursery. My son would love Follow me Fred! the BabyBjorn Cradle is my favorite and would love to win it for my niece! I love ALL of the products shown, but if I had to pick a favorite it would probably be the Baby Bjorn Cradle. If I win I will use the items for my 1 year old and for our baby on the way. My favorite baby product not included in the giveaway is the Prince Lionheart Wheely Bug. My favorite product from Must Have Mom’s Gift Guide not included in the giveaway is the Graco FastAction Fold Jogger Click Connect Travel System. My favorite product shown is the Baby Touch® 2 Digital Color Video Monitor, i’d love to win it for my daughter! My favorite product show is probably the BabyBjorn Cradle- it’s just beautiful and looks like any baby would love it. 🙂 I’d really like to be able to give it to my good friend who’s pregnant with her first! The cradle would be perfect for my cousin! I love the BABYBJORN Cradle. It would be perfect for my newborn! Definitely The Baby Bjorn cradle, A very dear friend is expecting right after Christmas and this would be such a great package for her! I like the Tiny Love Super Mat and I’m hoping to gift it to one of my friends who is expecting! The monitor! I’d give it to my friend who is due this summer with her first babe! The Baby Bjorn cradle is my favorite! While all the products are awesome, I really want a Follow Me Fiona for my daughter! I love the Babybjorn cradle and I would give it to my new baby due in March! 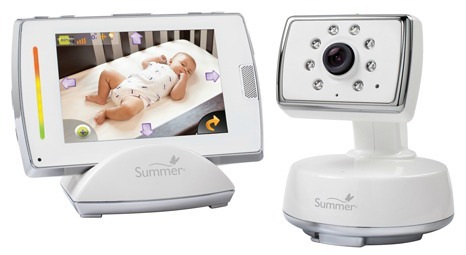 I would REALLY love to win this prize because we’d love the Summer Infant Video Monitor! Thanks for the chance! Follow Me Fiona is my favorite. I would love to give her to my niece. I’d love to give the baby monitor to my daughter’s BFF. I love the girl and want to give her something amazing. I love the cradle and I’d give it to my self for our next baby! The Baby Bjorn cradle looks fantastic and I would gift it to my son and daughter-in-law for their baby due in January. I love the cradle! My friend is raising her niece and could really use this stuff! I love the Baby Touch Color Video Monitor, and I have a granddaughter and would love to give this to my daughter to keep an eye on my grandbaby. The BabyBjörn Cradle. It would be for our future baby. My husband and I are expecting parents for the first time! My favorite is the Follow Me Fred or Fiona. I would gift to the orphanage. The Baby Touch® 2 Digital Color Video Monitor is the product that I have my eye on! Would be the perfect prezzie for my godson! I like the car seat canopy. I would give it to my niece. the summer infant monitor will be kept. it’s been on our registry and one of the last things we need! 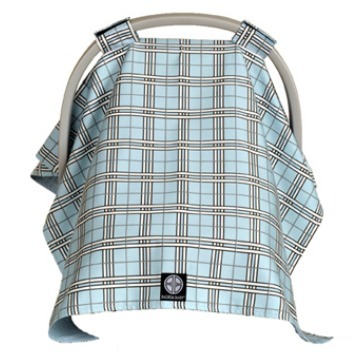 I love the Balboa Baby Car Seat Canopy and I am entering this contest for my niece. I would love to win the baby monitor for my daughter she would be thrilled with it. favorite is the video monitor and it would be for my bf baby! My favorite is the Baby Bjorn Cradle and I’d loOOOOVE to gift this to my daughter! Thank you! My favorite product shown is the baby monitor, and I plan on giving it to a friend who is in need of one. the baby monitor will be the best out of this. i will probably send it to my brother. I love the monitor! Would love to win this for my little one! Follow me fred. I would gift to my best friend Lindsay who’s due with her first child! My favorite item is the baby bjorn cradle and it would go to my nephew and little sister. The BABYBJORN Cradle would be for my friend who is going to have a baby. the Baby Touch® 2 Digital Color Video Monitor is cool. Some really wonderful ideas for Christmas gifts! Baby Touch® 2 Digital Color Video Monitor for my daughter who is due in February. I love the plush dogs and I would give one to my niece! The Baby Bjorn Cradle- I’d love to use it for my baby! I would love to have the Cradle to gift to my sister! I would love to win the Baby Touch® 2 Digital Color Video Monitor. My husband and I have been trying to conceive for years and we think this is our month. The monitor would be great for our future baby. Forgot to say my favorite – the cradle! Love to gift it to my sister! What an awsome giveway thank you for the opportunity as all this can come in handy for me. I like the baby touch monitor for my best friends baby. Other fave not in the giveaway – definitely the Graco FastAction Fold Jogger! The BabyBjorn Cradle is my favorite and i would give this to my son who is having my first grandchild in 4 months. 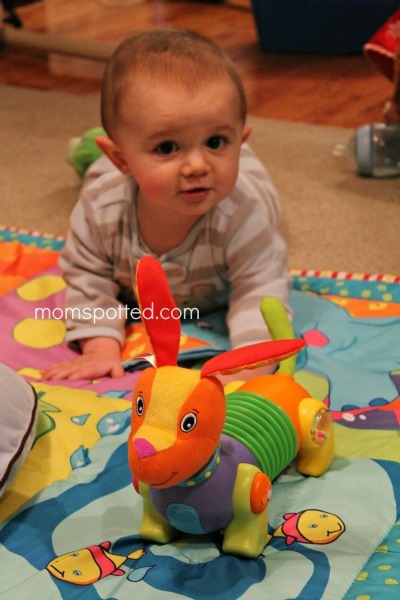 Fisher-Price Rock n’ Play Sleeper is my favorite on Mom Spotted’s Gift Guide. My favorite on Must Have Mom’s Gift Guide is the Comfort & Harmony Portable Swing in Cozy Kingdom. I would LOVE LOVE LOVE the baby bjorn cradle– my husband and I are about to have our first– I’m terrified, anxious, worried– and really need all the help I can get! This cradle would be a perfect sleeper that we need…. i WOULD LOVE TO WIN THE MONITOR FOR MY SONS ROOM. GREAT CHRISTMAS PRESENT! I love the monitor! It is time for my little one to move from our room to her room so a monitor like that would help ease my worry. My favorite item in the giveaway is the BabyBjörn Cradle! I haven’t bought a baby bed yet and I have 5 weeks left to go! I like the Baby Touch® 2 Digital Color Video Monitor for my cousin and her new kid. Whoops, I’d gift this to my new nephew! I like the Rachel Ray cook set. I would love the BabyBjörn Cradle! I am due in January so I would keep this for me any my baby girl! I love the BABYBJORN Cradle. I would keep it at my house for when my soon to be born grand daughter stayed with me. I would give the baby monitor to my daughter who is due in March. My favorite item in the giveaway is the BabyBjörn Cradle! I want for a friend! I would love to win the cradle for my self. We’re expecting baby #2. Thank you for the chance. I love the Babybjorn cradle! I would love to keep it for my next baby! So many great products! I love the car seat canopy. It is freezing cold where we live and we like to put a blanket over the car seat when going from car to house, but the blanket often slides off into the snow! A canopy that attaches would be perfect! I would love the Baby Bjorn for someone I know in need. I would like the cradle for my friend. I like the Baby Touch® 2 Digital Color Video Monitor and we could use this for our home, so I’d be gifting it to myself. The Rock n’ Play Sleeper for my sister and niece. My favorite is the Tiny Love Super Mat. I’d love to win it for my little niece. Thanks. BabyBjorn Cradle is my favorite and I hope to win it for my grandchild due in Feb.
Would love to win the BabyBjorn Cradle! I would be winning it for my second little one! I love love love the video monitor for my cousin’s 7 month-old Ethan. Both of his parents work so it would be awesome for them to be able to “spy” on him & see his sweet lil smile from work! Thanks for the opportunity! Balboa Baby Car Seat Canopy for my baby. I like the babybjorn cradle for our baby. I like the bumkins cat in the hat wet bag. I would like to gift the cradle to my sister. I would give the BabyBjörn Cradle to my sister. Beautiful! My favorite is the video monitor and I would give it to my church . I like the BabyBjörn Cradle for my new baby.